Getting beyond race, and accepting that there is no such thing. Written by Earnest Harris. As a white youth growing up playing ice hockey in the 1960s, in a Chicago suburb, I fell in love with the Chicago Blackhawks. I watched Hawks games on T.V., and during the intermissions between the periods, I retired to the kitchen (and its smooth, slick tile floor) to shoot my plastic puck at the cabinets. For the kitchen shootouts, I channeled my all-time favorite, the always-helmeted Stan Mikita, or on occasion, Bobby Hull. Born just after the team’s 1961 Stanley Cup championship, I anticipated – without too much patience – the next championship, and suffered through the team’s two failed Stanley Cup appearances in the early seventies. But between those years and the team’s next championships in 2010 and now 2013, my Native American friends encouraged me to reflect more deeply on the way symbols like the team’s own “Chief Black Hawk” distorted their identities, particularly in the imaginations of white Americans. Ultimately, in graduate school at the University of Illinois-Champaign, I critiqued my school’s infamous mascot, Chief Illiniwek, and my friend Richard King and I went on to edit Team Spirits: The Native American Mascot Controversy, a 2001 collection of essays giving voice to how Native Americans feel about many of these manifestations of the power of non-Indian, mostly white institutions and people to (re)represent, (re)name, and (re)contextualize Native peoples for white purposes. With diehard refusal to change the names and logos of sports teams we always hear the justification that the name is being used to ‘honor’ us. This tortured reasoning makes its proponents look absurd. Obviously if garish costumes, demeaning cheers, and crude logos are the essence of honor, then the various sports halls of fame need to perform drastic surgery on the busts and plaques of their honorees. The excuse, being lame, must conceal something more profound, which cannot or will not be articulated by those people ‘honoring’ us. Increasingly uncomfortable rooting for a team relying on Native American imagery to popularize its identity, my passion for the team has now dimmed. Somewhat ambivalent still, I was jealous of the team’s many supporters reveling in and celebrating the 2010 championship. And as I share this with you, Patrick Kane and Jonathon Toews have just led the Hawks yet again to a Stanley Cup championship. 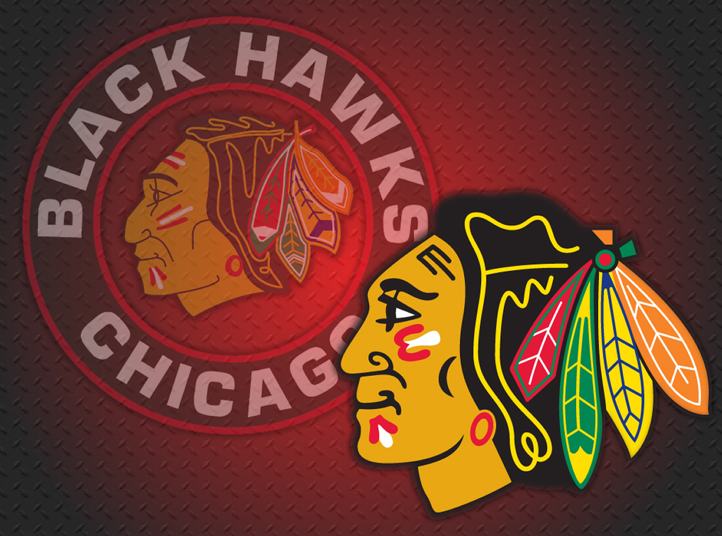 Persuaded by years of inquiry into the problematic history of how athletic teams have too often resorted to Native American imagery to convey their identities, I will let me many friends who are Blackhawk fans celebrate without me. Man I wish people would understand the power of these names and the inherent insult built in considering how real Native Americans were treated in American history. But alas, many will see this as criticism of their teams and will ignore it. But it is about so much more than sports. Read the rest of the very thought-provoking essay here. One of my old favorite TV shows gets an update. The Hollywood image of Tonto once had the Lone Ranger’s sidekick wearing a thin headband and lots of dangling fringes. The latest Disney version has a shirtless Johnny Depp adorned with feathers, a face painted white with black stripes, and a stuffed crow on his head. 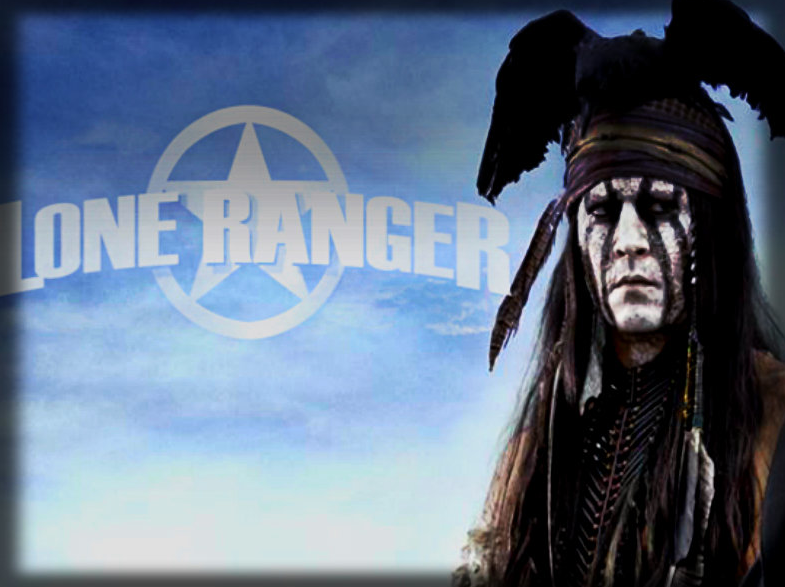 The character in the upcoming “The Lone Ranger” still speaks broken English and chants prayers. But Depp has said he’s less subservient, honors the proud American Indian warrior and displays a dry sense of humor seen throughout Indian Country. The production even hired a Comanche adviser, making it decidedly a Comanche story, and received the blessing of other tribes through ceremonies during filming. Yet Disney has caught flak for what some say is the perpetuation of stereotypes through a character that lacks any real cultural traits. Moviegoers will have to wait until July 3 to see how all this plays out on screen. For now, they’re getting a glimpse through movie trailers that have left them both optimistic and angry, and wondering to what extent the new Tonto portrays actual American Indians. 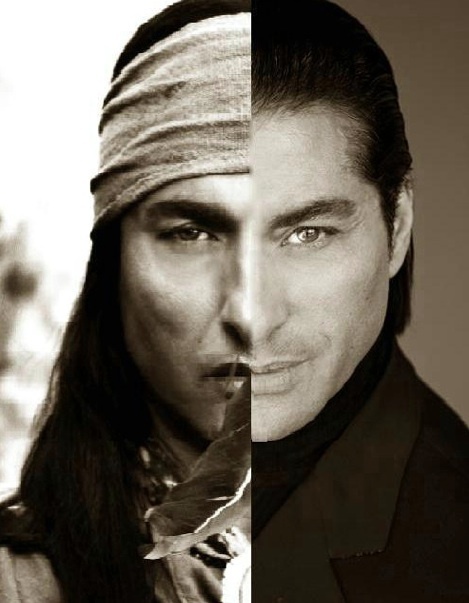 I know Depp has some distant Native American blood in him, but of course, I can’t help but wish there was a full Native American they could have cast in the role of Tonto. And I did see a trailer for the movie the other day and it does make me cringe a bit hearing Depp speak in that broken English, presumably in the way they think a Native American would speak. But I also get how Hollywood works and without Depp the movie likely would not have been made. But couldn’t he have played the Lone Ranger instead? Still trying to decide if I want to see this one. Here is a link to the full article which includes a trailer. There’s long been arguments about the political correctness of the Washington Redskins’ nickname — some feel that it is a pejorative term, and many Native Americans find it offensive. 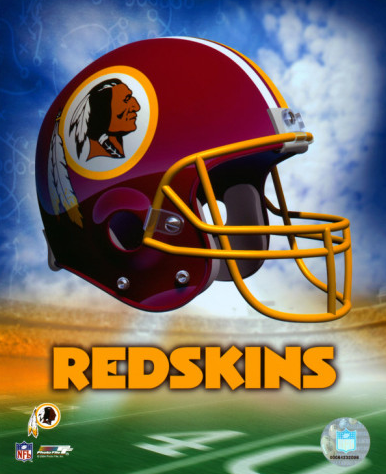 The “Redskins” nickname was given to the team in 1933 by then-owner George Preston Marshall, supposedly in recognition of head coach Lone Star Dietz, who may have been part Sioux. That Marshall was a known and avowed racist who greatly opposed the integration of the NFL doesn’t do a lot for the argument that the team’s nickname is an innocent conceit. The Washington City Paper has decided to use the term “Pigskins” instead of “Redskins” when writing about the home team. The Washington City Paper is an alternative weekly with a circulation estimated in 2009 at 71,000. The new name was decided by a poll of the paper’s readers. …Ifind it inconceivable that the NFL still allows such a patently offensive name and mascot to represent the league in 2012. Here is the full Yahoo Sports story. I know I’m a few days late with this video, but it is never too late to point out how screwed up our history lessons are, especially when it comes to how different cultures are depicted. “Reconsider Columbus Day” PSA from Carlos Germosen on Vimeo. I must admit I’m not really sure what I think of this one. On the one hand, the Cherokee tribe has a right to do what they want to do in determining their membership. But on the other hand, the history of the Cherokees is undeniable when it comes to how much mixing occured between them and Blacks. My grandfather is half Cherokee and I remember, though vaguely since I was so young, a time with his mother, my great grandmother, who was Cherokee. The nation’s second-largest Indian tribe formally booted from membership thousands of descendants of black slaves who were brought to Oklahoma more than 170 years ago by Native American owners. The Cherokee nation voted after the Civil War to admit the slave descendants to the tribe. But on Monday, the Cherokee nation Supreme Court ruled that a 2007 tribal decision to kick the so-called “Freedmen” out of the tribe was proper. The controversy stems from a footnote in the brutal history of U.S. treatment of Native Americans. When many Indians were forced to move to what later became Oklahoma from the eastern U.S. in 1838, some who had owned plantations in the South brought along their slaves. Here is the link to the full story.